Protective Industrial Products® (PIP® for short) has been an independently owned supplier of consumable personal protective equipment (PPE) to industrial distribution for over 30 years. Their products have been designed and rigorously tested with the utmost safety in mind. 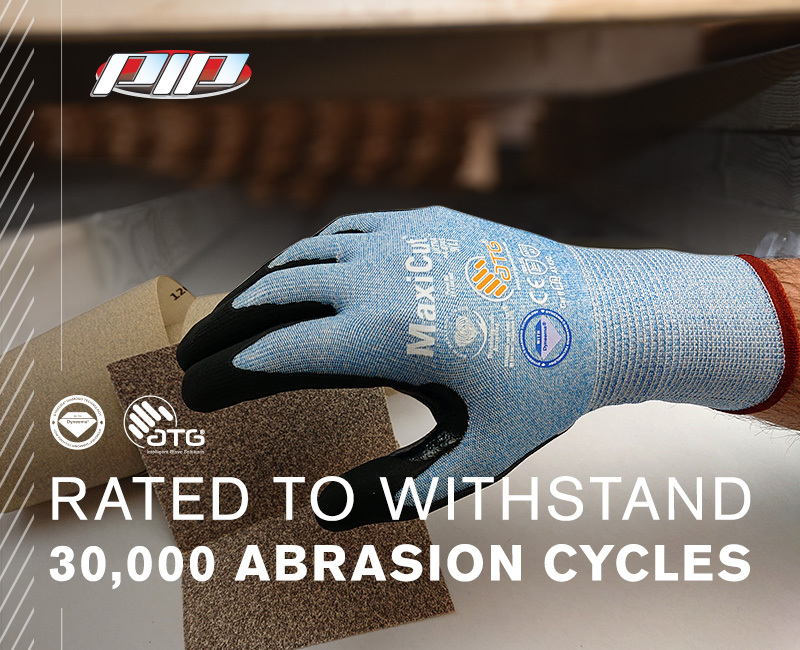 Recently, Protective Industrial Products, Inc. (PIP) announced the launch of their New ATG® MaxiFlex® Cut™ AND ATG® MaxiCut® Ultra™ seamless knit gloves with an integrated revolutionary Dyneema® Diamond fiber technology that’s 2X stronger than standard Dyneema®. Built strong for applications that require a solid grip in wet and dirty conditions, including a reinforced thumb and forefinger for extended glove life in an inherently weak area these Dyneema® Diamond industrial work safety gloves styles are even more comfortable and breathable because the glove liner is thinner and provides unparalleled, non-irritating comfort and unmatched sensation. Enduring 30,000+ abrasive cycles, these extremely durable cut-resistant gloves are designed for extended use saving you money on replacement glove costs. 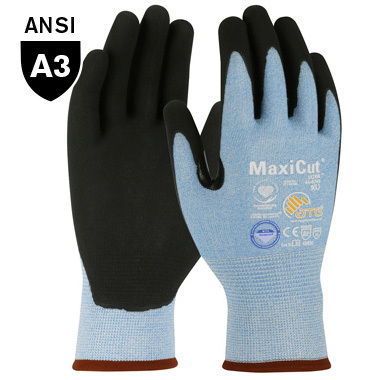 The MaxiFlex® Cut™ ANSI A2 is built for light duty jobs that require high dexterity while the MaxiCut® Ultra™ ANSI A3 will handle medium duty applications that require more abrasion resistance. Both glove styles feature a super light-weight and thin liner with 360° breathability with integrated ATG® patented AIRtech® “tunnel structure” Nitrile Microfoam Coating that swiftly evacuates heat that builds up inside the glove making them ideal to wear for long durations of time. This coating has a micro-cup finish that’s designed to channel away liquids to allow better handling in wet and dirty conditions. 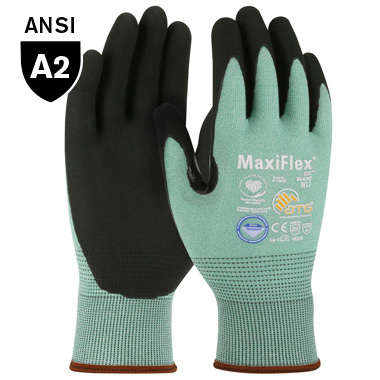 The ATG MaxiFlex® Cut™ AND ATG MaxiCut® Ultra™ seamless knit gloves are in stock and available in S-2XL sizes. All ATG® Gloves are laundered before they are packaged making them clean and skin safe. They are REACH compliant, certified by the Oeko-Tex Association, and accredited by the Skin Health Alliance. "We want you to go home safely everyday"